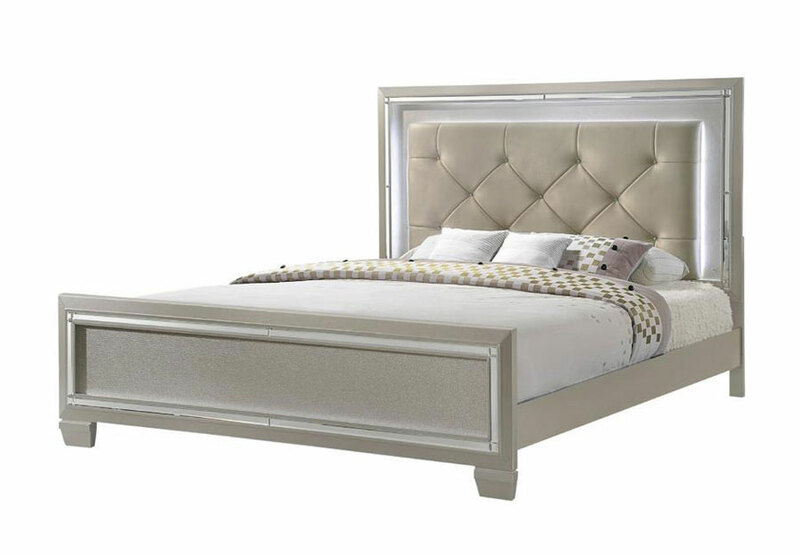 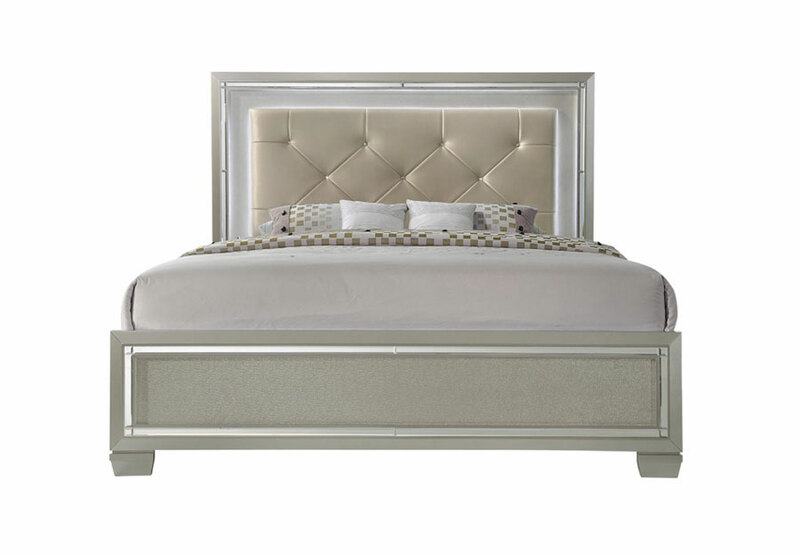 The glamorous Platinum storage bed is dressed in a fashionable champagne finish and adorned with a chic mirror trim. 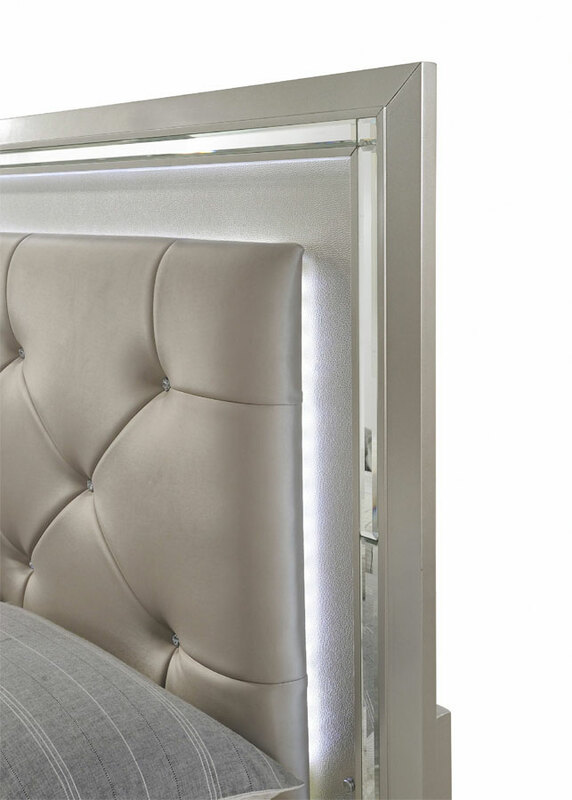 The upholstered headboard as well as the mirror feature mood lighting for a soft glow at the end of the day. 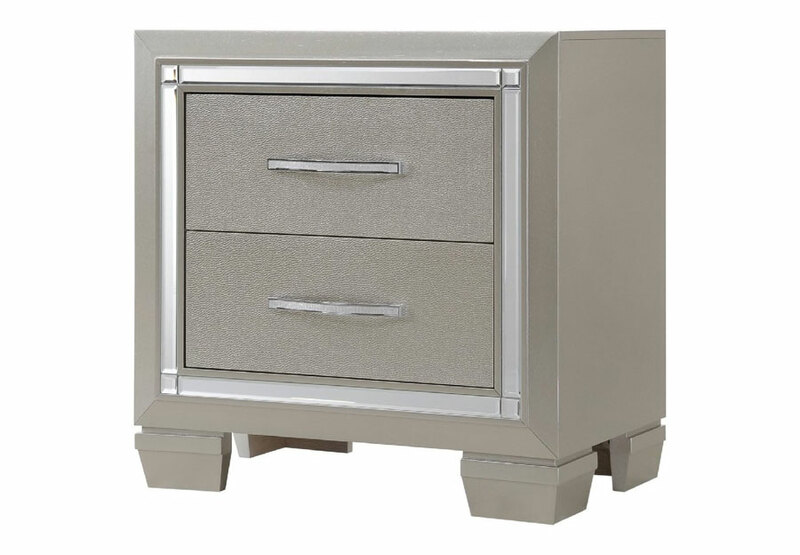 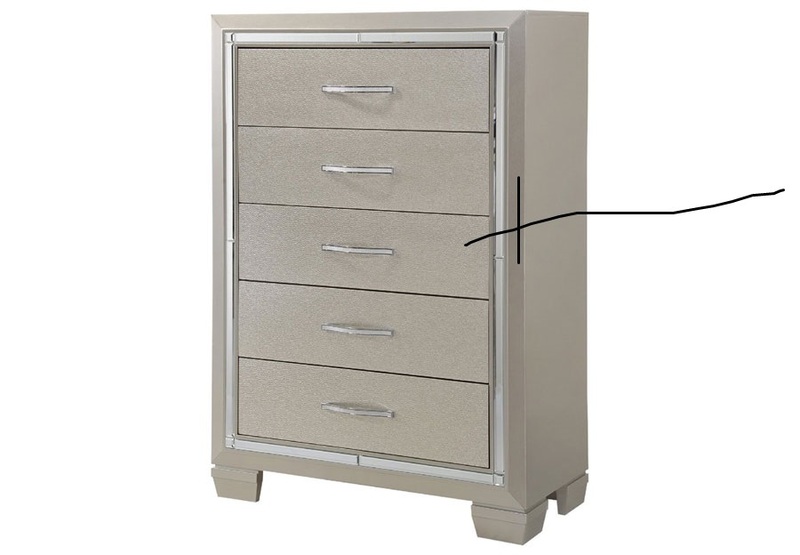 Embossed drawer fronts and crystal accents in the drawer pulls complete the look.